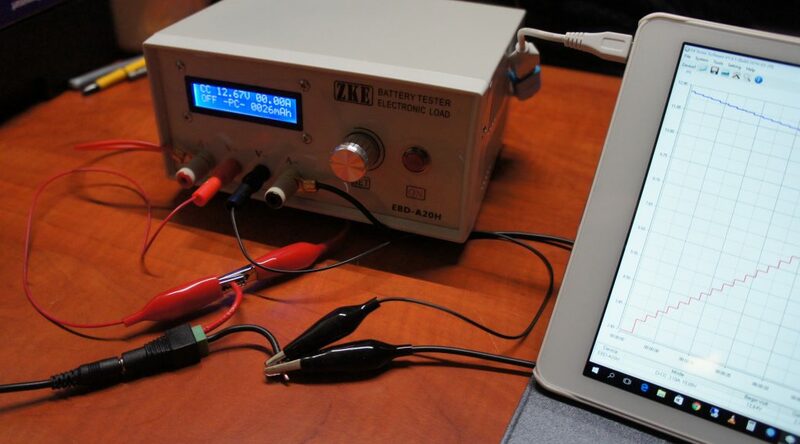 I recently purchased a Electronic Load (the ZKETECH EBD-A20H ) to test some small power supplies. I often use little power supplies for small LED or ESP8266 projects and since I mostly buy stuff in China I often don’t really know how good those power supplies are. A few people asked me if I know where to get the newest software so I hosted it on my FTP site, download it by click here. So I thought I would get a load bank and at least have the ability to test how they behave. I probably won’t be doing any full teardowns of the power supplies (There is other people around who are A LOT better at that) but at least I can do some testing. I will also allow me to do some battery testing and other stuff I’ve been wanting to do. I made a video of a first look about the ZKETECH EBD-A20H below. This version has 0-30 voltage range with 0-10 Amperage range and 4 wire measurement. Previous PostVideo: Phone Chargers 101Next PostVideo: Phone charger cable length, does it matter? Do you know where I can find the USB driver for the EBC-A05? You’ll need to provide more information on what chipset you are looking for. Try and paste the string you can find in device manager of the unknown device in Google, that should point you into the right direction!